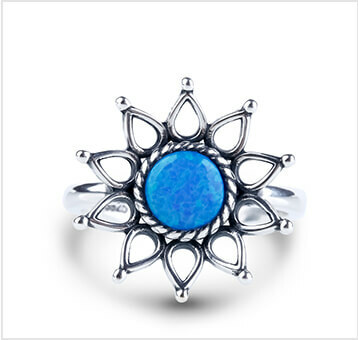 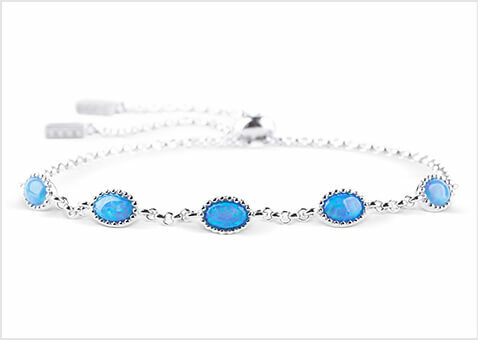 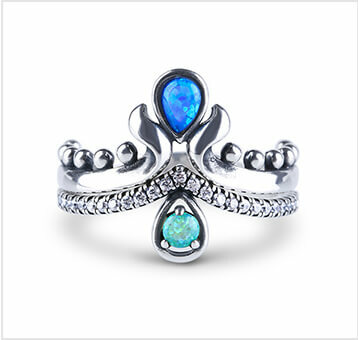 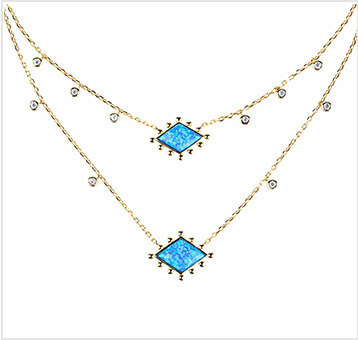 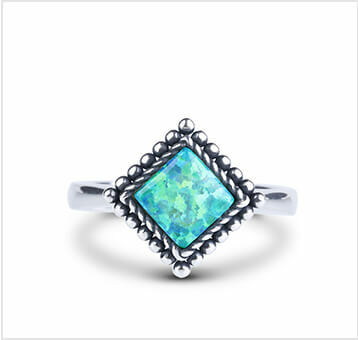 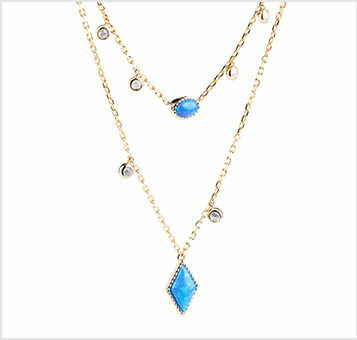 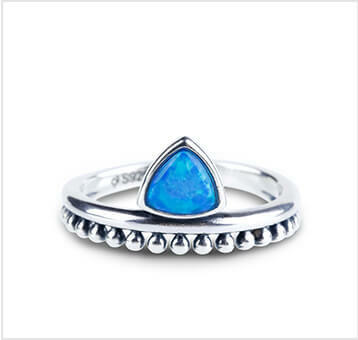 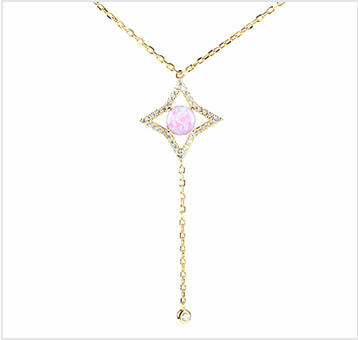 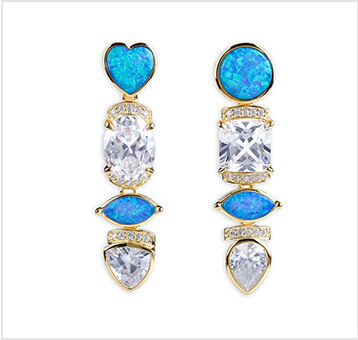 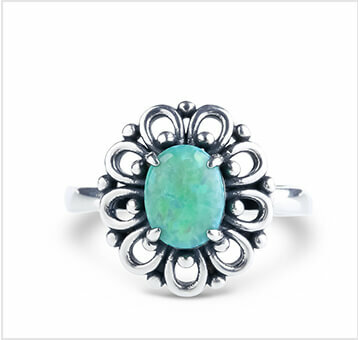 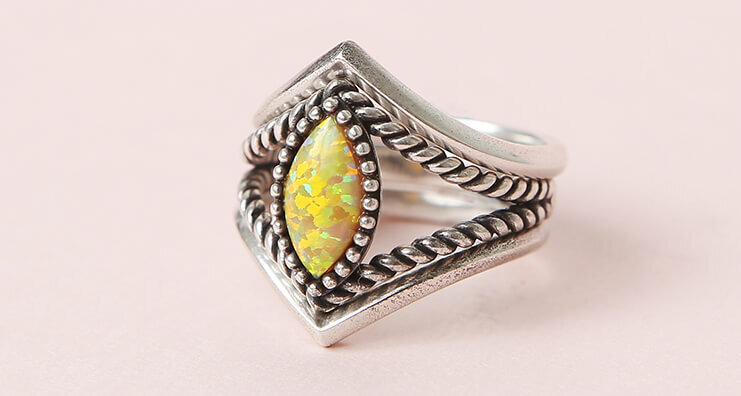 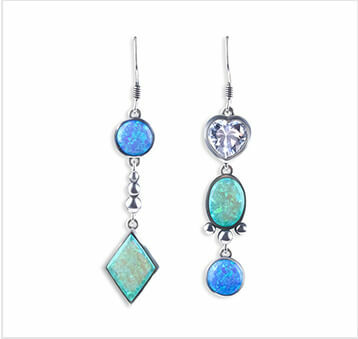 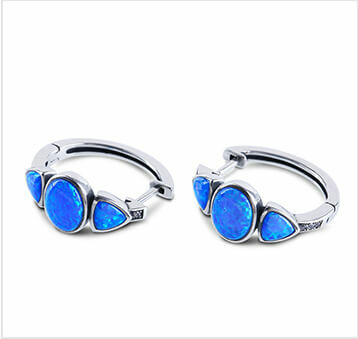 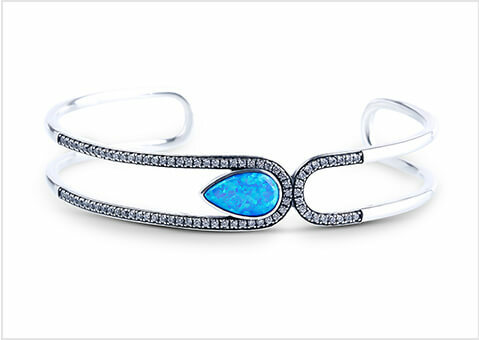 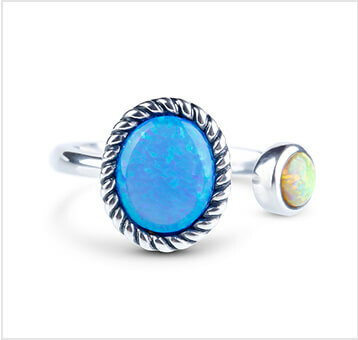 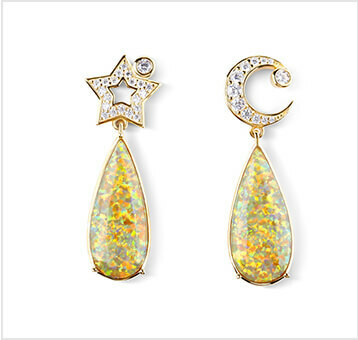 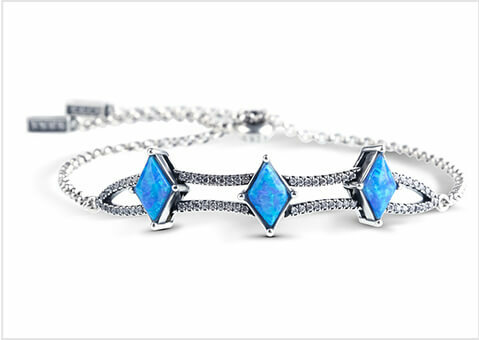 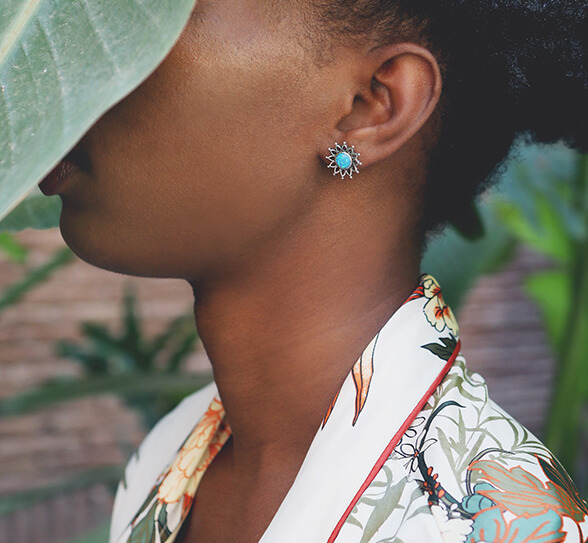 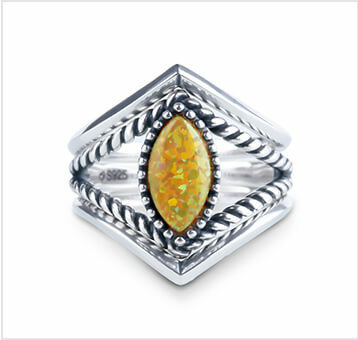 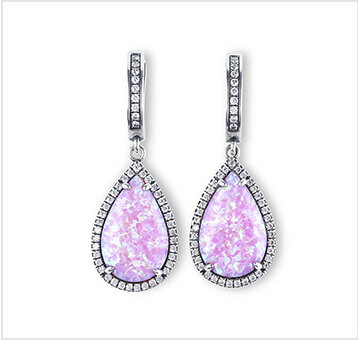 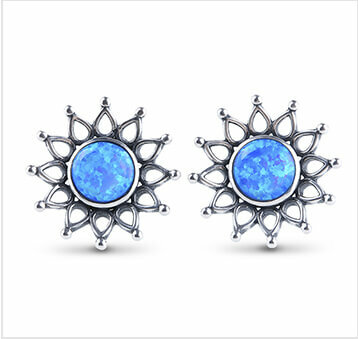 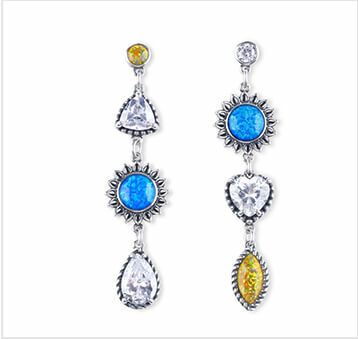 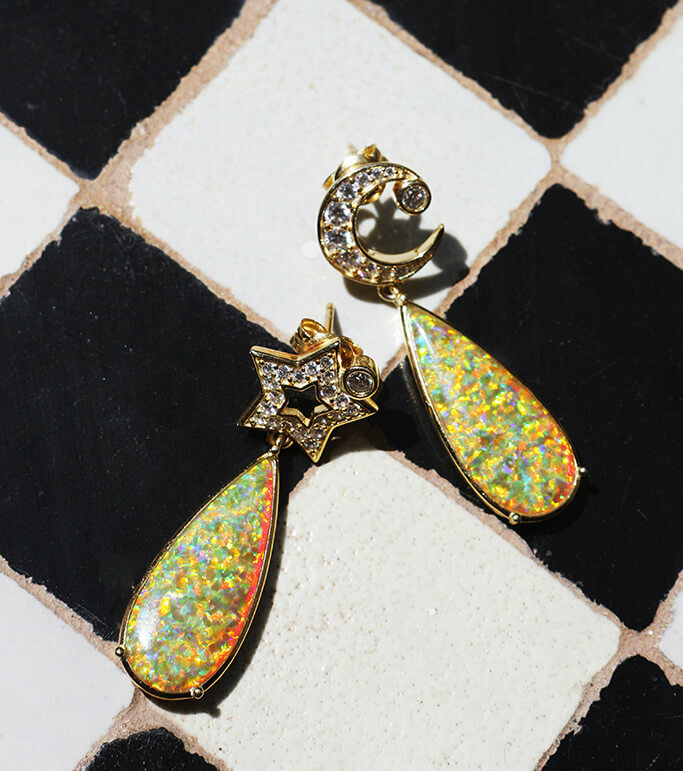 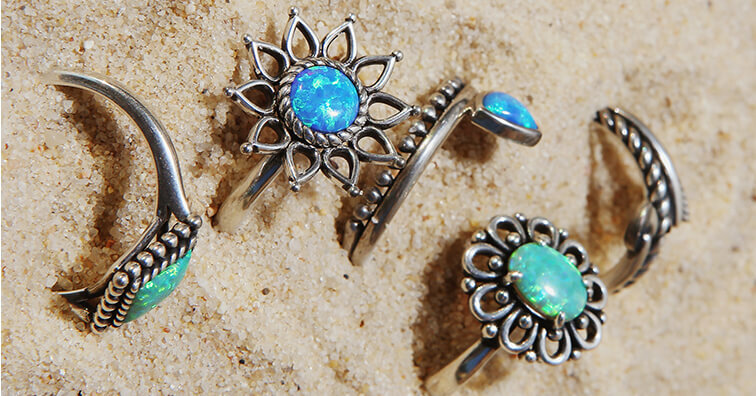 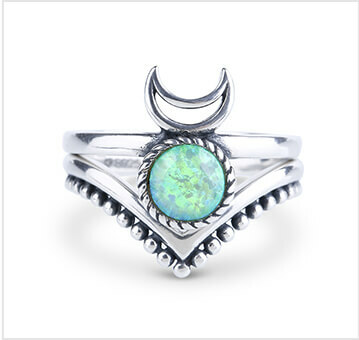 DREAM IN KALEIDOSCOPIC COLORS WITH OUR OPAL COLLECTION. 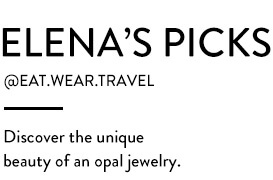 blogger Elena Sandor (@eat.wear.travel). 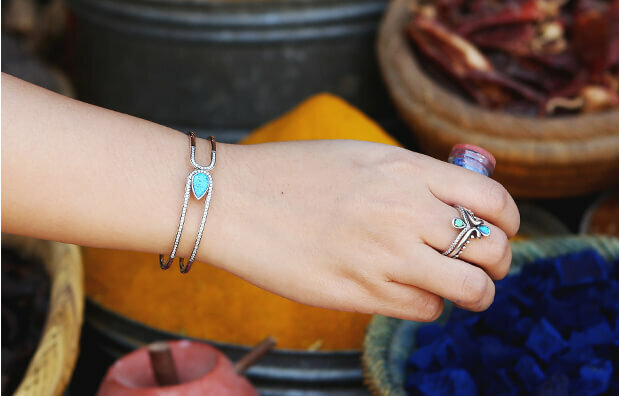 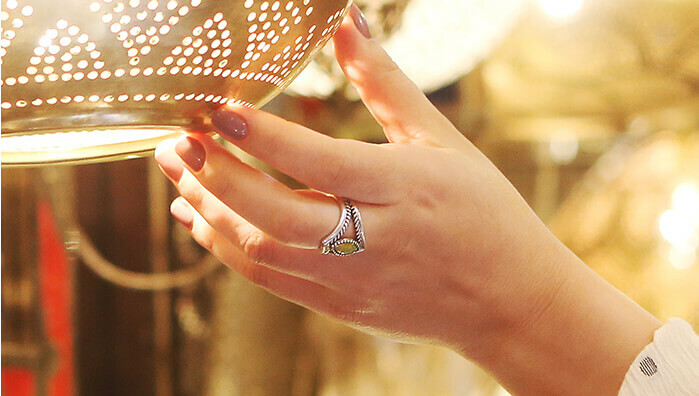 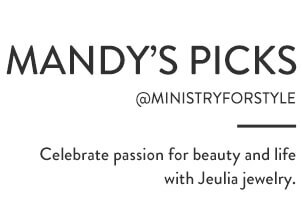 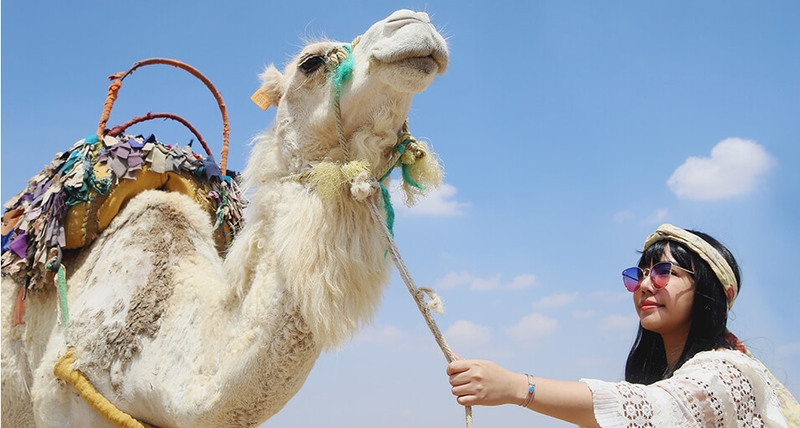 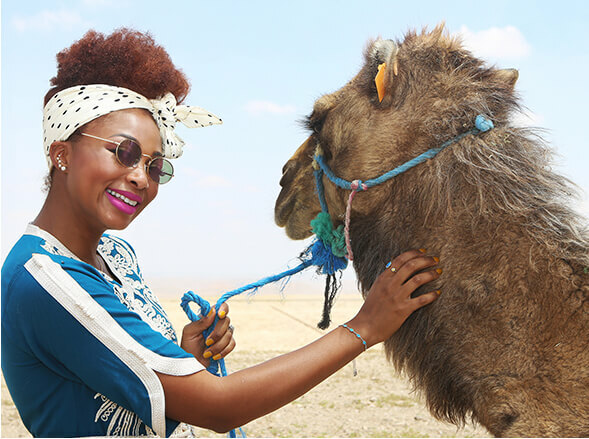 She was inspired on an exciting trip in morocco with her best friends. 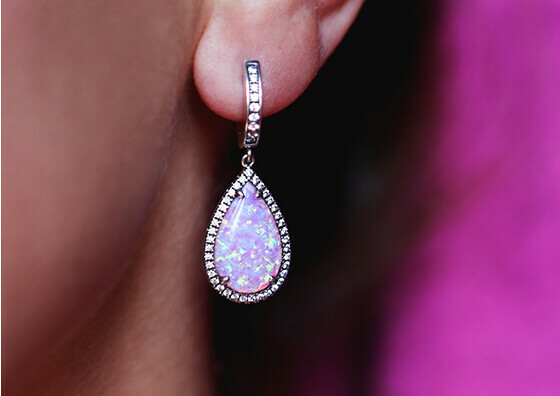 and richness of colorful touch. 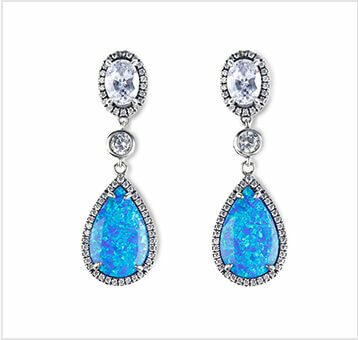 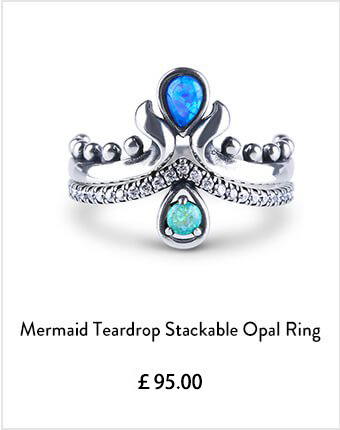 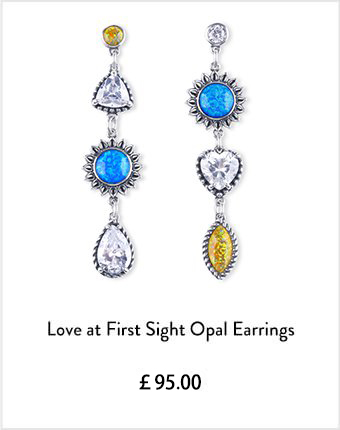 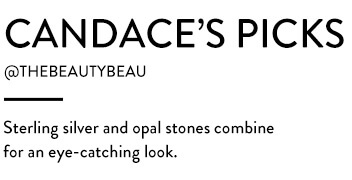 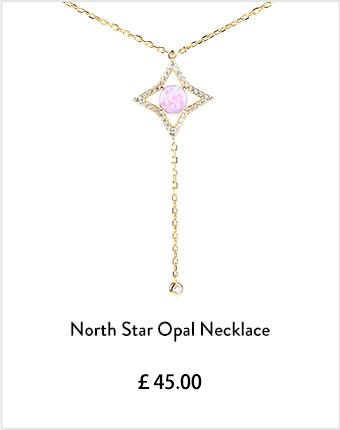 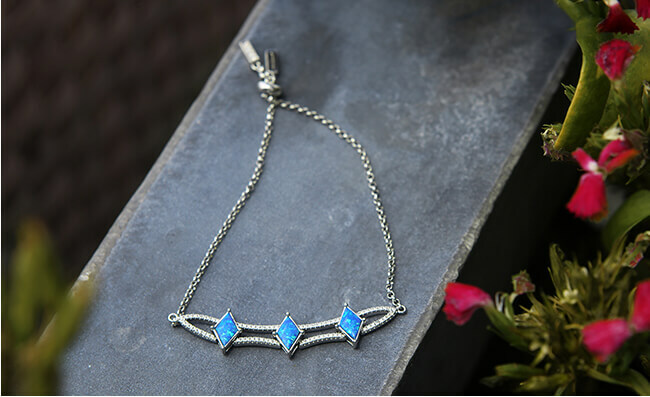 and each opal stone shines no identical glamor.